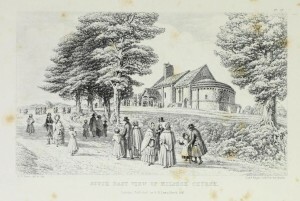 It is certain that there has been Prayer and worship here since at least 640, for it is recorded that in that year is was given to the see of Llandaff. The curved shape of the churchyard indicates that the site is Celtic in origins, and there are Celtic indications in some of the images. One day perhaps someone might even find evidence for megaliths beneath the church! It is remarkable that so little is definitely known of the history of the church; the date of its commissioning and dedication is not confirmed, but is probably about 1135 to 1140. The guide book in the church will tell you more of the history of the area, almost certainly part of Wales at that time. Its dedication to St David might support that view, but there is no mention of Kilpeck in the records of St David’s Cathedral, so it is probable that it was dedicated to local David. 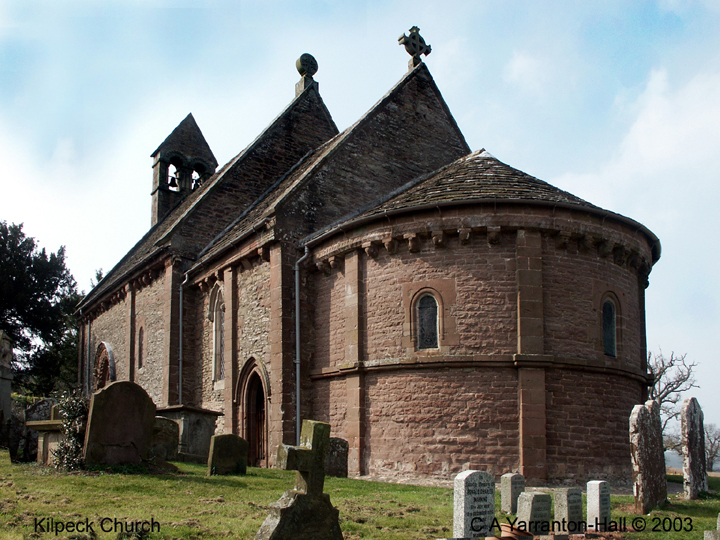 The medieval village of Kilpeck is mentioned in the Domesday Book, but not the church. 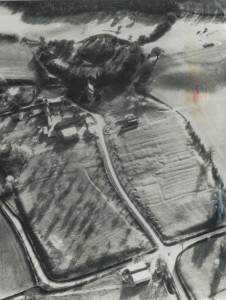 The large medieval village adjoining the church, possibly home to over 600 folk, has never been surveyed, and humps and bumps are still visible there. 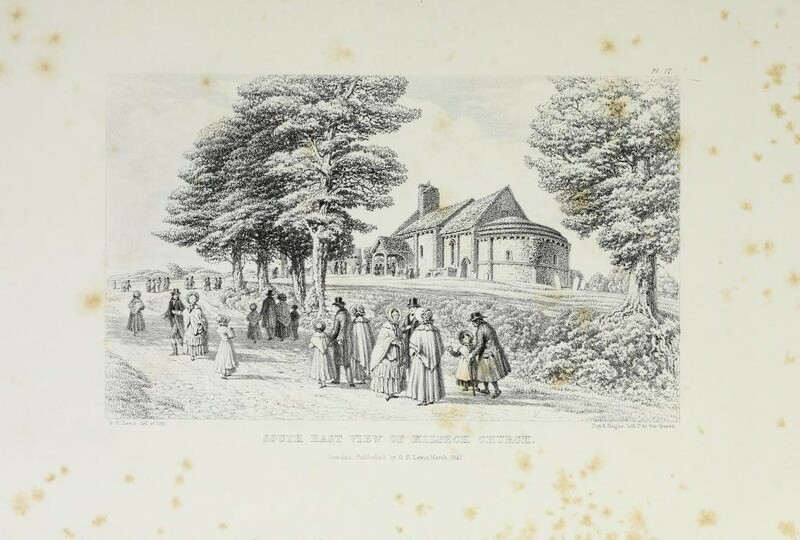 Until about 1840 there appears to have been nothing written about the church when a privately commissioned and funded by subscription book The Sculptures of Kilpeck was written by G R Lewis where the carvings and views were first illustrated. Under the Cottinghams, who did much restorative work on Hereford Cathedral, a good deal of restorative work was done here between 1845/47 and again in 1864, and also by Roland Paul at the end of the 19thC and then again in the 1960s. But not till 2003 was a comprehensive record made of all the images, and since then it has been photographed again and again thanks to modern technology. The church today is still alive, though the small congregation has to be nobly supported by folk from the two neighbouring parishes of St Devereux and Wormbridge to claim to be viable. With a population of only 80, Kilpeck is a small rural community who use the church primarily for baptisms and marriages. If it is to survive, it must depend almost entirely on visitors, so please join us at Evensong at 6pm on the first Sunday of each month, and at other times on special occasions. The website A Church Near You keeps an up to date list of service times. Visitors come from all over the world and pictures of the famous south door is likely to be found in every church guide worldwide. In 2014 entries in the visitors’ book showed visitors had come from as far west as Guatemala and the USA, from as far east as Japan and Russia, from Sweden and the antipodes, from Alaska, Sardinia and Hong Kong amongst others. So we can justifiably claim it is of worldwide importance. We are much blessed that it features also in Simon Jenkins’ book of 100 Best Churches, and on the front cover of a recent ordnance survey map. Many come again and again and recently one such said it was his 10th visit! 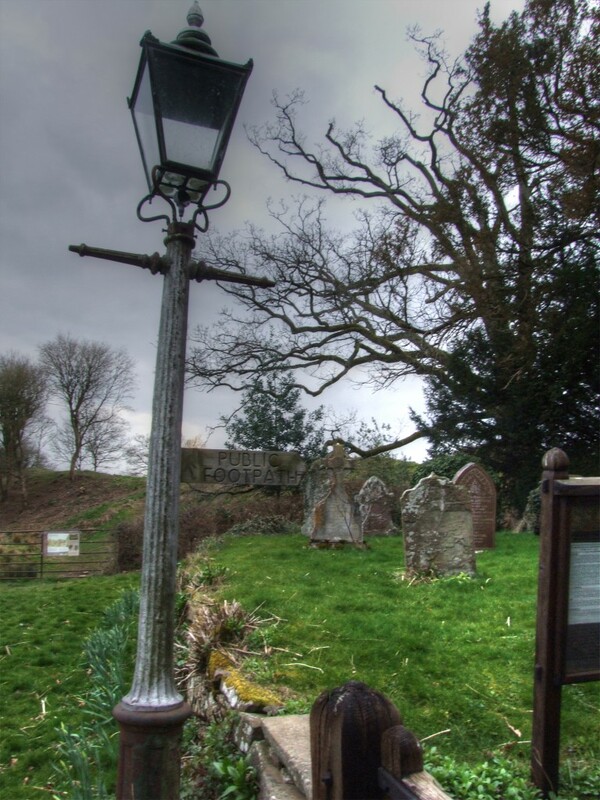 If you are visiting, please remember that there are no toilet facilities -these are available at the nearby Kilpeck Inn -, but there is good parking immediately beside the church gate and there are no steps to negotiate.